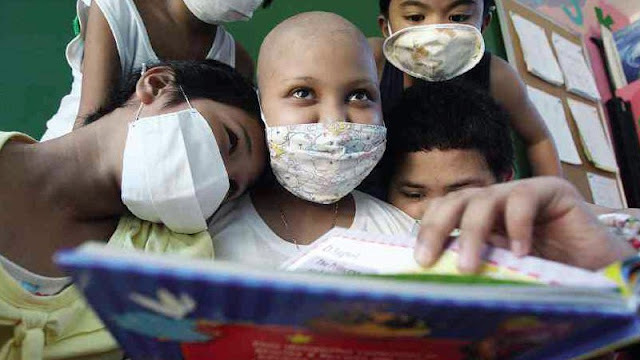 MANILA – The House of Representatives ways and means committee on Wednesday approved a substitute bill which seeks to institutionalize a national integrated cancer control program. The still-unnumbered substitute bill consolidated all cancer-related measures, particularly House Bills 268, 716, 897, 1578, 1851, 1964, 2579, 2798, 3089, 3365, 3441, 3497, 3500, 4707, 5378, 5387, 5763, 6153, 6210, 6280 and 6299, House Resolution 786 and Privilege Speech No. 195. Committee chair, Rep. Estrellita Suansing, said the measure was an effort of more than a hundred lawmakers, including Speaker Gloria Macapagal-Arroyo. The bills aim to establish cancer treatment facilities, provide health insurance coverage and government support for cancer patients, institutionalize a cancer prevention and control program; and raise public awareness regarding cancer. The bill seeks to create the National Integrated Cancer Control Advisory Board, the National Integrated Cancer Control Program, and cancer care centers. Bagong Henerasyon Party-list Rep. Bernadette Herrera-Dy, principal author, said the government must institutionalize an integrated, multi-disciplinary, multi-sectoral, nationwide cancer control and management for all types of cancer, for all genders and ages. Co-author, Antipolo City Rep. Cristina Roa-Puno, cited the 2012 study of the International Agency for Research on Cancer, stating that every hour, seven Filipinos die of cancer and 11 new adult cases are diagnosed. Roa-Puno also cited a Philippine Statistics Authority report showing that one in every 10 registered deaths in the country is due to cancer. "Many of our fellow Filipinos are dying from cancer not because the disease is incurable, but because they lack the financial capacity for medical treatment, and government support remains unavailable to them," Roa-Puno said. Roa-Puno added that the proposed law aims to establish a network of cancer centers nationwide.